As a special surprise for one of my dearest friends who was celebrating a big milestone birthday, I decided to make her something I absolutely knew she loved…Apple Cider Donuts! 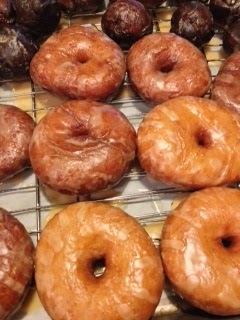 And not just any donuts, mind you…GLAZED APPLE CIDER DONUTS! 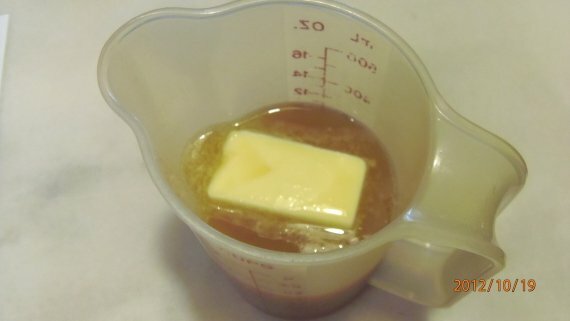 -In a microwave safe container, heat the apple cider and butter to very warm (120-130 degrees). 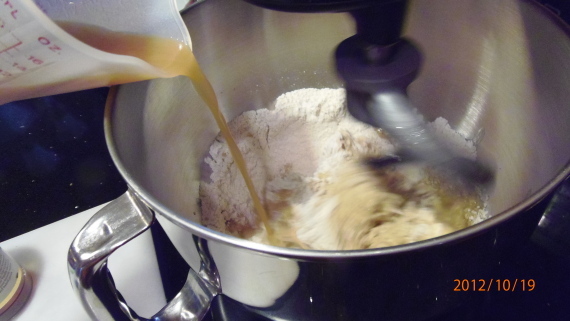 -Add the vanilla to the butter apple cider mixture. Set aside for just a moment. 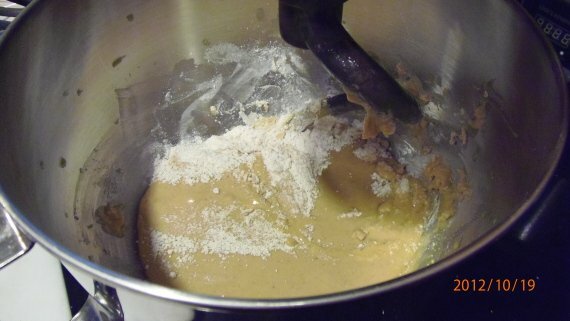 -In the bowl of a stand mixer (or large bowl, using a wooden spoon), combine 2 cups of flour, the dry yeast, sugar, salt and cinnamon. 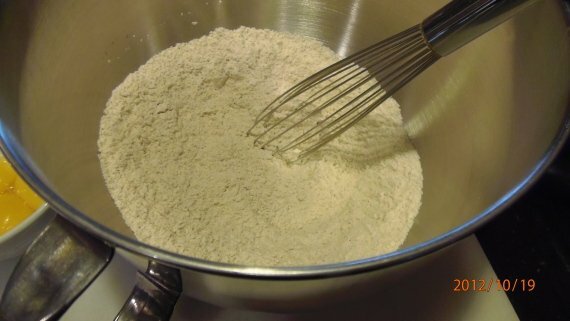 -Add the apple cider mixture to the flour mixture and mix together thoroughly. -Add the additional flour and the egg yolks, mixing continually until a soft dough forms (This will take quite a few minutes). 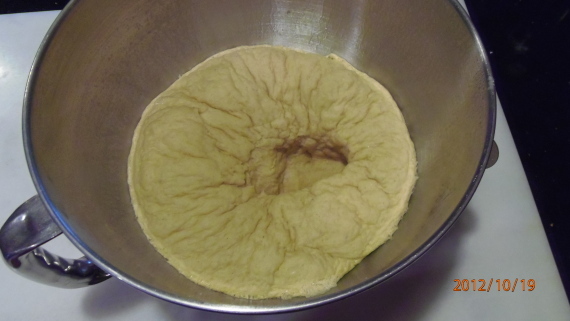 -On a lightly floured surface, knead the dough by hand and then place the dough into a lightly greased bowl. 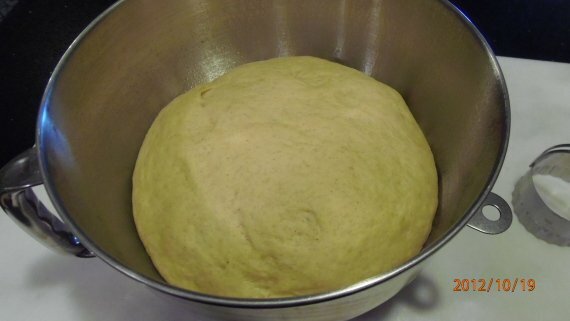 -Allow the dough to rise until doubled (about an hour) in a warm, draft free place. 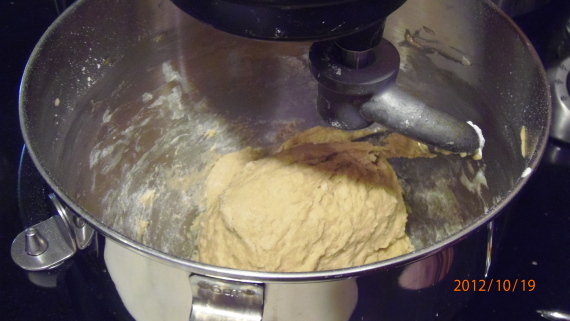 -Once the dough has risen to double in volume, punch down and allow to rest a few moments. 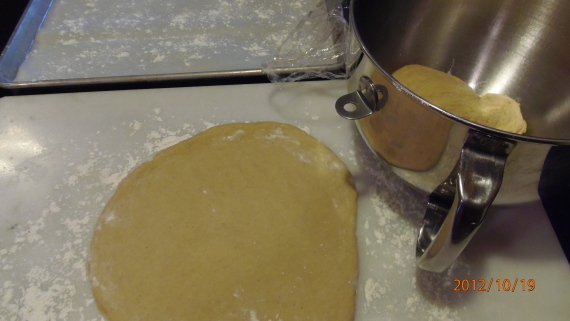 -On a lightly floured surface, roll (or pat) the dough out to 1/2″ thickness. 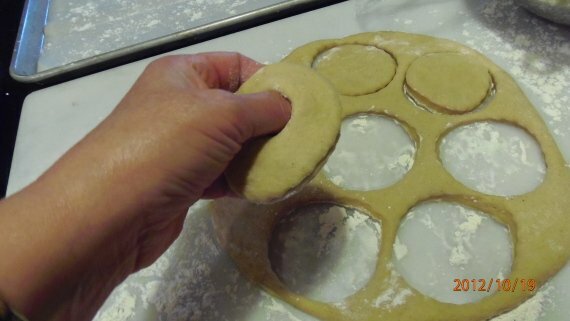 -Using a 3″ biscuit cutter, cut the dough into rounds. 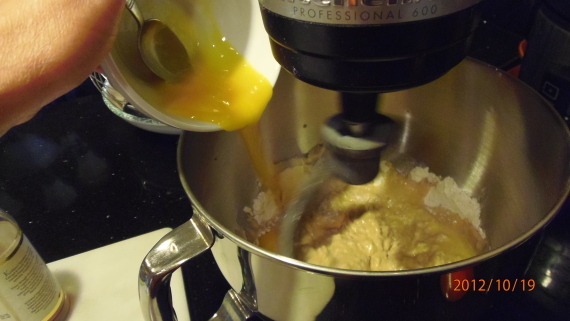 -Using a finger, poke a hole through the center of the donut and gently work the dough to make the hole quite large. 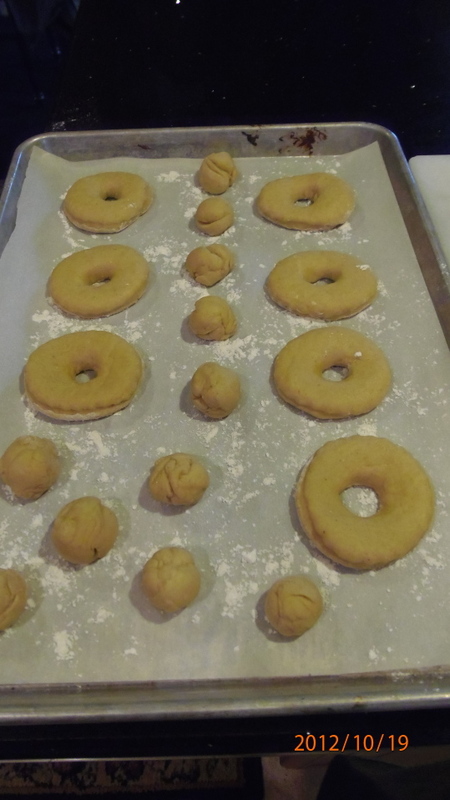 -Place the donuts on a parchment lined baking sheet that has also been sprinkled with a little bit of flour. As you can see from the about photo, I also tried to make some donut “bites” with the remainder of the dough that was leftover after I cut my rounds. 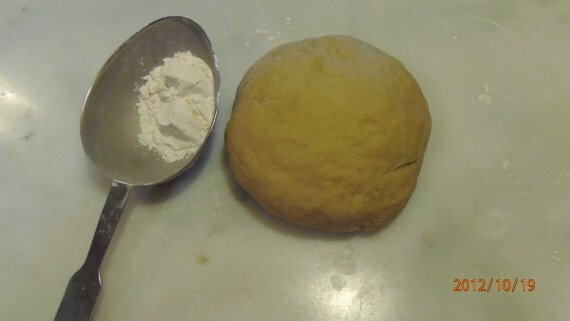 I tried to re-roll the dough, but with all the flour, they didn’t roll into neat little balls. -Allow your donuts to rise again (approximately 45 minutes to one hour) in a warm, draft free place until doubled in size. *While your frying, keep your wits about you and pay attention to what you’re doing and the temperature of your oil*. -In a large deep sided skillet (or deep fryer) heat roughly 2″ of canola oil to 350 degrees. -Place the donuts 2 or 3 at a time into the hot oil and fry until they’re a lovely golden brown on each side. This will only take a few moments for each side. -Using a slotted spoon, remove the donuts from the oil and place them on a wire rack to cool. 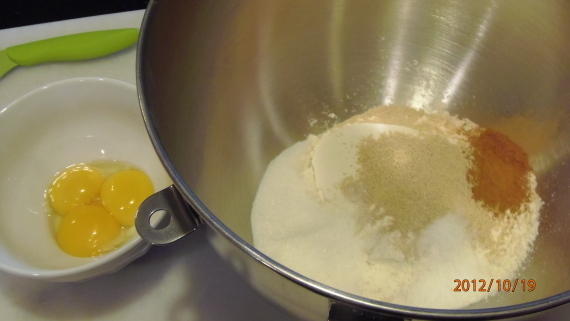 -In a medium bowl, whisk up all the ingredients until smooth and slightly runny in consistency. 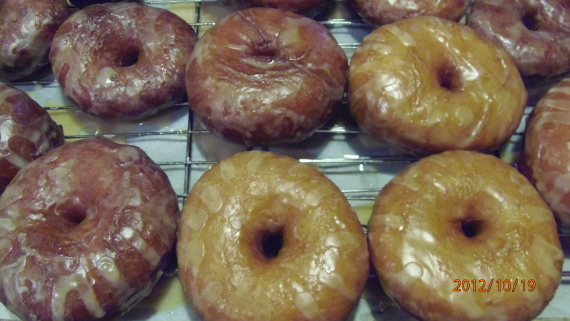 -Dip the donuts into the glaze, turning them once, to coat the entire donut. I hope you’ve enjoyed my recipe for Glazed Apple Cider Donuts and will have learned a thing or two in the process. Please don’t hesitate to leave me any questions or comments you may have or share something that you may think will be helpful to me (an others) about the donut making process. I value your comments and suggestions! Well then, until we eat again! What a great post! I love donuts but have never as yet attempted to make any. Thanks to you for sharing as much as what not to do as what to do I'm eager to try my hand at these. Great post and pictures! I'm working on making these today for a family get-together. Thanks for sharing!